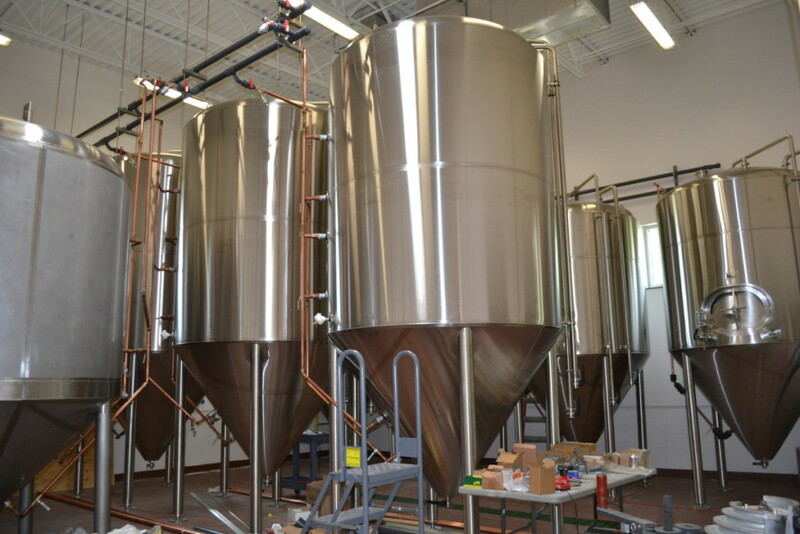 Bell's Brewery, Inc. Upper Hand Brewery - Byce & Associates, Inc.
Design Program: Byce & Associates, Inc. provided professional services for constructing a new brewery in the Upper Peninsula of Michigan. The new 11,550 square foot state of the art brewing and bottling facility houses a brew house, fermentation area, bottling area, administrative and corporate office space, a public tasting area, warehouse, cooler, shipping, two recessed docks, and keg storage. The building is located on a 5.10-acre lot in the Airport Industrial Park in Escanaba, Michigan with Portage Creek and associated wetlands running adjacent to the property creating a serene, natural aesthetic to the building and the site. Site work included a bituminous parking area with truck drives, dumpster storage area and sidewalks along the street as required by the City of Escanaba. A storm water basin at the back of the site with a discharge to the existing drainage way north of the property was also included. The building is situated near the east side of the site to allow for future building expansion from the west wall of the building. 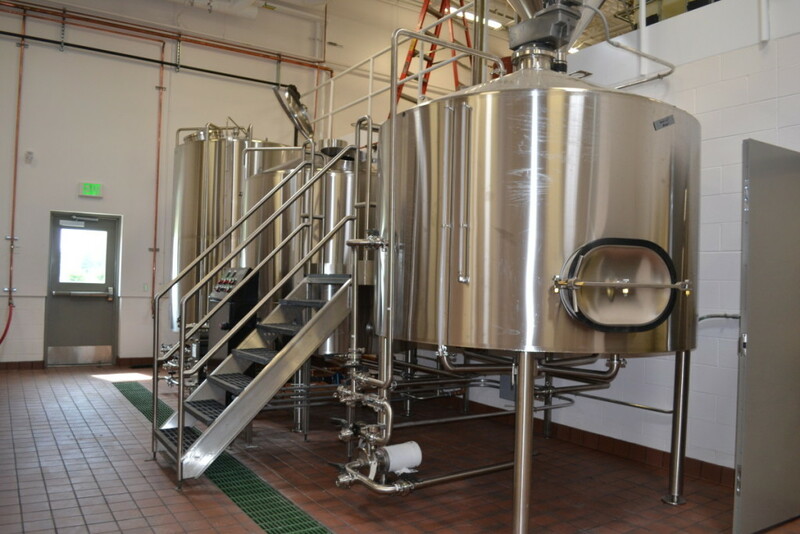 The Bell’s Upper Hand Brewery also requested an expansion within their first year of operation. 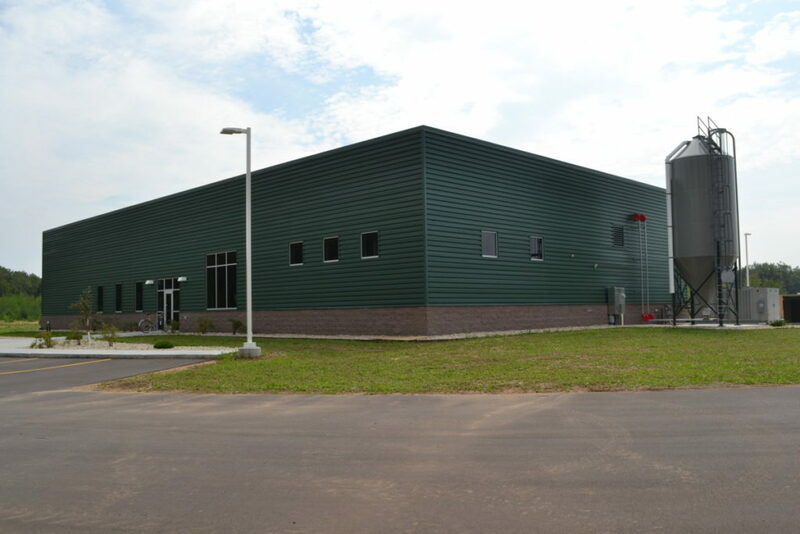 Byce & Associates, Inc. provided architectural, civil, structural, mechanical and electrical engineering services for the expansion. This included an addition to the Fermentation cellar, addition to the warehouse, and a new cooler. The Fermentation Cellar addition is to the north-east of the existing cellar and 2,167 square feet. 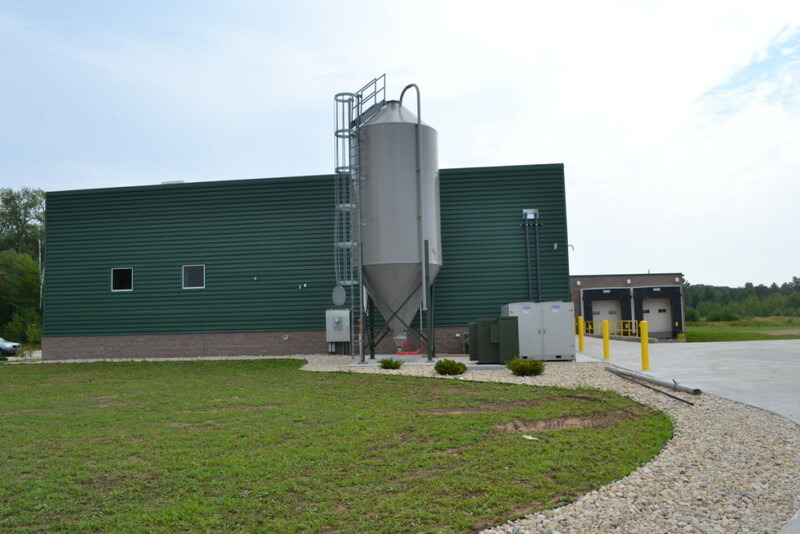 The warehouse addition was 3,263 square feet, which included a 1,400 square foot cooler. 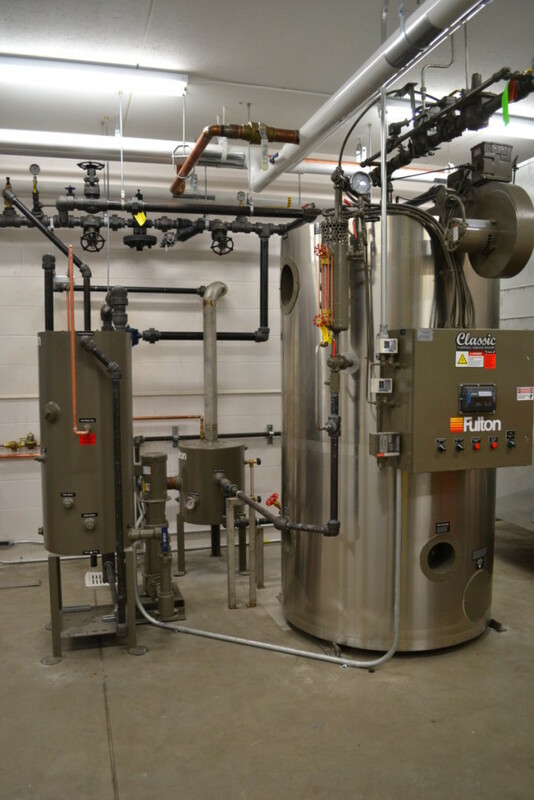 Design Challenges: In order for the facility’s wastewater utility systems to establish all necessary components, the design team forecasted and analyzed the predicted pollutant level for compliance with required standards and surcharge values per Escanaba Wastewater Code. 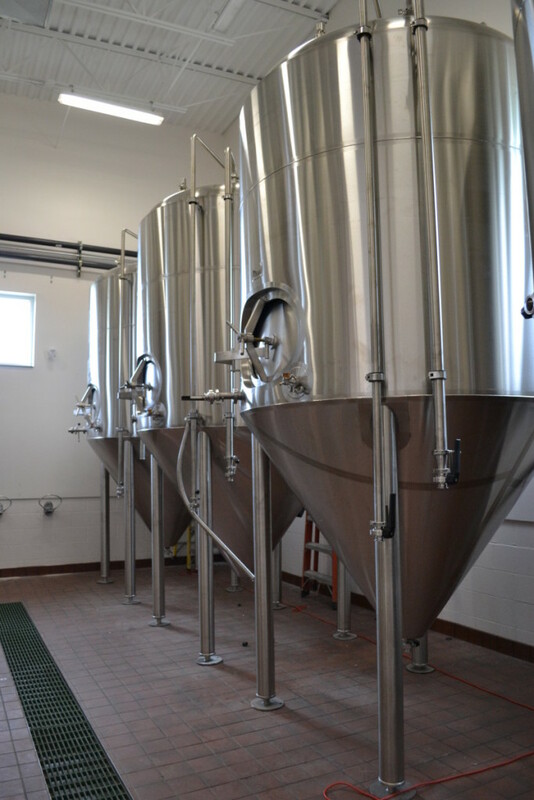 To make this determination, existing flow metering and wastewater sampling data, which was obtained from Bell’s Comstock Michigan micro-brewing facility, were applied to the Bell’s Upper Hand Brewery.